Venture IP 480i - Expandable system of 3 line phones for up to 8 networked phones. 8000 series phones - Single and 2 Line Phones, Centrex PBX and Standard line compatible. 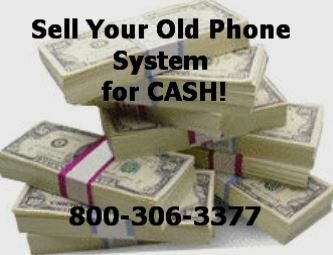 9000 series phones - Dataport speaker phones, Centrex PBX and Standard line compatible. PowerTouch series - Touch screen phones with English - French - Spanish prompts and more. IP and SIP phones - VOIP Phones, 67xi Series SIP Phones, 6730i, 6731i, 9112i, 9133i, 9143i, 53i, 55i, 57i, 57i CT.
AastraLink Pro 160 IP PBX System - IP phone system with Large PBX functionality to the small business envirement. Whether you are a small business just getting started, or ready to expand your phone system to grow with your business. Our Aastra New and Used Phone System Inventory offers you many choices at deep discounts. Why pay retail when you can buy an office phone system at wholesale prices? The Aastra Venture 480i IP system or Aastra M9417 two line phones and Power Touch screen phones make great small business solutions. Aastra telecom phones and components have proven to be a great choice for any small size business that is on a budget. We carry Aastra 53i, 55i, 57i and the 57iCT phones. All these phones have exceptional features and value in an advanced featured, expandable IP Telephone for those wishing to leverage their Ethernet connection for a quality VOIP phone business solution. All the Aastra 8000 series and 9000 series models are very well made products that have made a name for themselves in telecommunications solutions and we have them for much less than standard retail prices! We also carry components for the 480i IP Venture phone system , Venture IP 480i Gateways and the POE injectors for the Aastra Venture IP system. Now introducing the AastraLink Pro 160 IP-PBX system. This is a robust, simple to use, cost-effective PBX which is IP based & marketed specifically to small companies and we now carry it. Remember, We offer a ONE YEAR WARRANTY ON ALL NEW and USED REFURBISHED PHONE SYSTEM EQUIPMENT AND PARTS and our goal is your total satisfaction and lasting business!